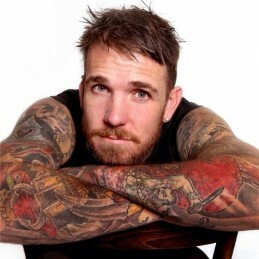 Dane Swan, a boy from Westmeadows in Melbourne’s northwest suburbs, is considered one of the AFL’s elite midfielders. The son of former Port Melbourne and Williamstown VFA star Billy Swan, he was drafted with a relatively late pick – 58 – in the 2001 national draft and arrived at Collingwood with fitness worries and off-field problems. Swan battled to gain a regular place in his first four seasons at the club. His laid-back approach to the game saw him get limited opportunities before a change of mindset, brought about with the help of coach Mick Malthouse and teammate Ben Johnson, helped to reshape Swan’s view on the game of AFL football. In 2006, Swan had his break-out season, playing 21 games as a rotational midfielder. His first nine rounds in that season saw him average 26 disposals, and it was then that the outside world began to pay attention to the emerging young inside midfielder. Swan’s amazing improvement and change of mindset took him a long way, career-wise. After being part of Collingwood’s 2010 premiership team, he won the 2011 Brownlow Medal and was labelled as one of the unstoppable elite athletes of the game. A very well built inside midfielder who is also very dangerous going forward, he has an amazing ability to surprise his opponents, out-running them with his deceptive pace, powering from contest to contest. He is a very hard player to match up on, making him one of the most consistent midfielders in the competition. One-on-one in the forward line, Swan’s underrated ability to take overhead marks on a taller opponent adds yet another dimension to his game. A player once known more for the artwork on his arm than anything else, Swan is now deservedly recognised for, and judged by, his deeds on the field, which are notable not just for their quantity, but also their high quality. Swanny is one of the AFL’s most popular characters with unique dry humour and outlook on life, he is available through ISG to amuse your audience in a Q&A at your next event.